Can One Man Really Change The World? It was Christmas Day and the alleged terror plot was on. Umar Farouk Abdulmutallab, allegedly tried to ignite some form of liquid smuggled on a Northwestern airliner from Amsterdam to Detroit. With the courageous actions of a few, and a little draw of luck, Abdulmutaliab was unable to accomplish the plot of death and destruction planned for 300 innocent people. When I first hear the report I was relieved that once again airport security coupled with the brevity of a few courageous people were able to thwart another terror plot, but Oh was I wrong. For the next 5 days, all I heard from Fox and CNN was the fact that some "almost" terror plot "almost" blew up a plane and could have "almost" killed 300 people. Who would have let that happen? How did that guy get through the security line? What was Barack Obama doing letting this guy on a plane? Why was the European Union so lax in their security? Who was going to loose their job at the TSA for such a failure? Where was the religious fanatic telling this guy to blow up innocent people? I understand the need to make sure dangerous things don't make it on airplanes, but our political correctness, coupled with our innate love of fear, have given us impotent procedures. They want to blame the TSA. They want to blame the government. They want to blame other countries. They want to blame religion. Why can't they just blame the guy who did it? Why is it so hard to see that there are bad people in the world that do bad things. It's not anyone else's responsibility to take the blame. But in our culture today, someone bigger has to be behind the conspiracy. And what comes of it? Another hour at the airport. Another pat down at security. A typical forfeiture of privacy. And all for what? So the TSA can screen everyone equally without profiling? Come on guys. 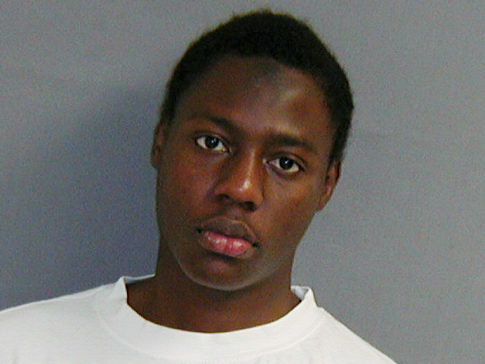 This guy Umar Farouk Abdulmutallab was on a watch list. If they can't screen for this guy, what's another pat down going to do? They're screening 300 million people a day, and not being able to focus on the people that are really dangerous. I traveled through international security last week, and just kept shaking my head. This is the power of one man. This is the power that fear has over our population. People die in car wrecks everyday and no one talks about drunk driving on the news, but for 2 weeks, the news is obsessed with an "almost" terror plot. Maybe it's time to change course. Maybe it's time to figure out why? Why would someone want to blow up an airplane of innocent people? I'm not an everyone is innocent kind of guy. Sure there are bad people in the world. And, we need to have security in place for the innocent that are "would be" victims. But, enough is enough. Let's start using our intelligence, our understanding, our ability to live as humans to understand, reason, and help to mitigate such grievances of people around the world. Unless of course the fear mongers are right. If every Muslim is out to kill an American, I guess we have our work cut out for us. But if not…. Maybe it's time to think about our world view. Does one man have the power to change the world? Just take a trip somewhere on a major airline. You'll see.